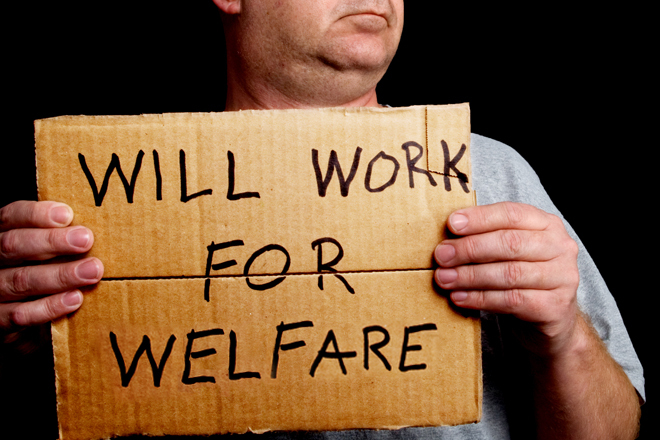 Should People On Welfare Be Allowed To Vote? I saw something on Facebook a while back that got me thinking. At first I was completely behind it, as it was talking about ways to reform public assistance. It talked about taking most everything but basic staples off of food stamp programs. If you wanted things like “steak and frozen pizza” you had to get a job. It also talked about mandatory birth control and drug testing if you wanted to stay on public assistance. Not sure I fully agree with the birth control thing, but it would keep from putting new kids on welfare rolls, and I definitely agree with the drug testing. If you want to have children or do drugs, then you should be getting a job. Next was public housing, which would be expected to be maintained in good working order and inspections would be possible at any time. Again, if you wanted housing you could destroy as you saw fit or wanted things like an Xbox, you had to get a job. But then things started to get a little questionable to me. The next part talked about either presenting a pay stub from a job or you would be assigned a government job, such as cleaning highways or government housing. Unemployment insurance exists so that if someone loses their job, like many Americans have lately, you can get by until you find work similar to what you had and for which you have the skills. Forcing someone to take whatever job the government sees fit to give you sounds a lot like Communism to me and I will not get behind that. So, Should People On Welfare Be Allowed To Vote? The post asserted that while on public assistance, you would relinquish your right to vote as it would be a conflict of interests. Regardless of your employment situation in this country, or lack thereof, everyone over the age of 18 in this country has the right to vote. That right is only dependent on citizenship and not having committed a felony. Taking the right to vote from people just because of no employment would lead to huge amounts of disenfranchisement throughout the populace. Families where there is only one income earner would have a spouse who could not vote. Millions of college students would no longer be able to vote. Retired people would no longer be able to vote. Professional athletes would not be able to vote in the offseason. Actors and musicians would not be able to work when in between money earning projects. Professional novelists and other freelance writers would no longer be able to vote as they don’t have a steady verifiable income stream. If we started down this road, it could very easily lead to the idea that you not only had to have a job, but a minimum income threshold, blocking even more people from voting. Eventually, only the very wealthy would be voting, if the vote wasn’t just scrapped altogether. Some people say that voting doesn’t matter. One of the freedoms we have in this country is not to vote if we don’t want to do so. Some countries have been known to round up the populace to vote, even if the whole election was a sham, such as only being able to vote yes or no on a candidate or having it known who you voted for in the election. Even with lower participation numbers in some areas, it is still a right that should not be infringed or curtailed in any way. One group I didn’t mention in the previous paragraph was disabled veterans. These people gave some or all of their physical ability to do work to protect others’ rights, including voting. Should these men and women who gave so much no longer be afforded the same rights they sacrificed themselves to preserve? Another issue is that employers worried about how some of their employees might vote could just lay them off shortly before the election, taking away their right to cast their ballots. That outspoken professor on campus known for bucking the status quo. The union steward at a major manufacturer. ANYONE who the company saw as a threat would be stripped of their rights due to employment status. While I understand the desire to create incentive to get off public assistance, this is a Constitutionally and morally improper way to do so. Antonin Scalia – Where has decency gone? Are we still The Land of the Free? Wow…I didn’t know that someone losing her job because of bad economic times made her a taker of society and therefore ineligible to vote. I know that I always paid into unemployment in the event I might need it – and haven’t used it yet (although I’m semi-retired). I’m glad that you thought through that ridiculous comment because of the severe consequences of having so few people deciding our fate. Perhaps the person who made the comment meant to say: those who don’t pay taxes shouldn’t vote. That certainly would leave out a lot of white collar criminals such as members of Congress and the IRS. Good post, as always! Enjoy the day….. In the past only landowners where allowed to vote–this is a retrogade step and must be strenuously opposed by fair-minded people.